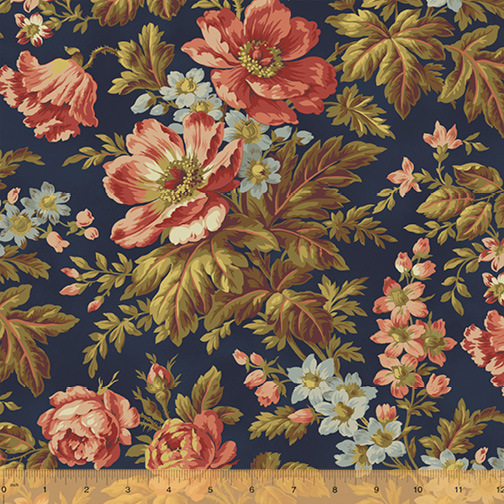 Shiloh c. 1880 by Nancy Gere is a Civil War inspired floral collection in richly hued shades of navy, red and purple. Perfect for scrappy quilts and timeless pieces that you will treasure forever. 27 skus. On sale April 2018. Shipping to stores July 2018.